This lavish hideaway in Aix en Provence is the perfect place for a romantic getaway or some peace and quiet. Surrounded by lavender fields and cypress trees, the hotel's setting is quintessential Provence, and yet only minutes away from the Cours Mirabeau and town center. 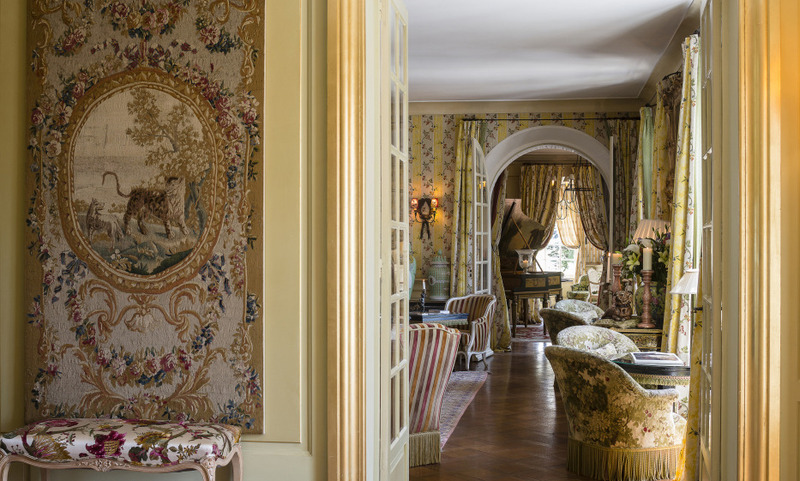 Elegant interiors, a fine selection of Bordeaux wines, and an outdoor pool make the Villa Gallici an excellent choice next time you're in the South of France. Great location a few steps away from the heart of the city of Aix-en-Provence. A beautiful hotel with a heated outdoor pool, just a ten minute walk from the town centre. Intimate hotel, full of charm, very friendly. The staff is friendly, discreet and always available. Quality table for dinner on the lovely terrace surrounded by trees. Would highly recommend to spend a weekend in Aix.